What is new in ITIL 2011, the latest edition of ITIL? In our ITIL Wiki we provide more insights on the main changes and differences between ITIL 2007 and ITIL 2011. What is new in ITIL 2011, the new ITIL edition published at the end of July 2011? The IT Process Wiki highlights the changes and clarifications introduced with ITIL 2011. 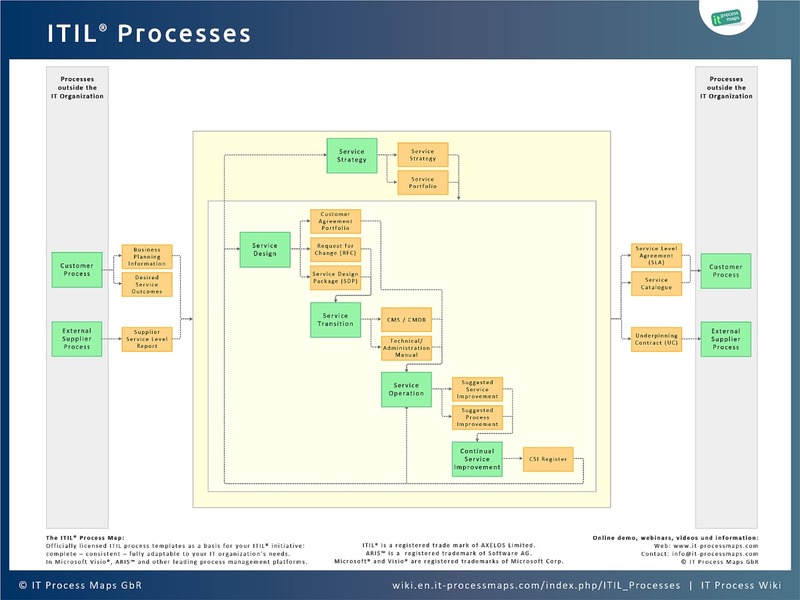 As part of our efforts to bring the ITIL Wiki in line with the latest ITIL 2011 guidance, we updated all sections on the ITIL processes. Use the following links to see the updated process descriptions and summaries of the changes between ITIL V3 and 2011. 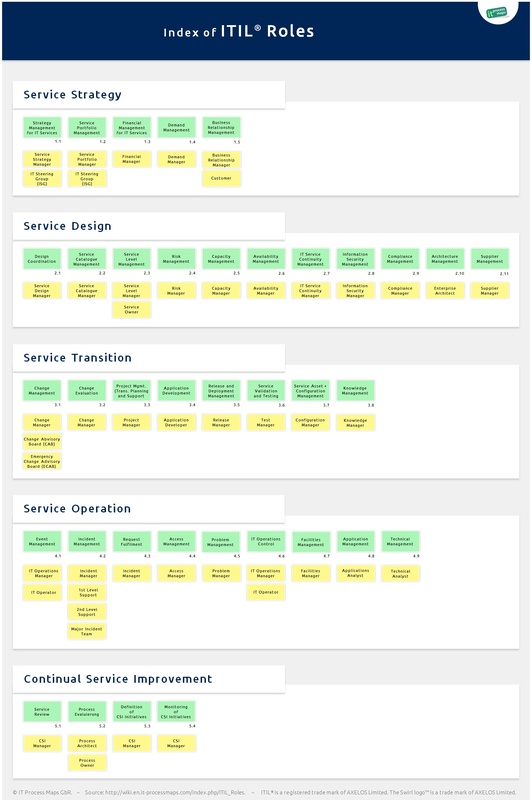 During the process of updating the ITIL Process Map to ITIL V3 2011 Edition, we also aligned our set of free ITIL templates and checklists to ITIL Version 2011. The definitions of the ITIL roles describe the roles' main characteristics according to ITIL V3 2011 Edition.